Being an excellent server has many obvious advantages, the biggest being that you can get cheap points for yourself. Advanced players even manage to win outright by using serve as a winning weapon which is why it is crucial that the opponent breaks the server’s play as soon as possible. 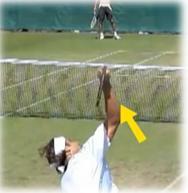 This is why today I am going to discuss a good way of improving your tennis serve through pronating your forearm. Many beginner tennis players simply hold the racquet like a frying-pan and hit the ball with no instinct for tennis which results in zero pronation. Are you one of them? 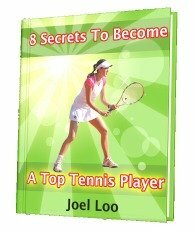 Read on if you want to improve your tennis serve technique. Pronation is the rotary motion of the forearm at its own axis. This is possible due to two bones we have in the forearm which are cubitus and radius. If you want to understand it more clearly just stretch your hands out in front of you. Then point both your palms at each other and rotate your forearm and wrist together in piece. As a result, your palms will be facing the floor. In pronation, your forearm and wrist will always rotate together which is why it is also known as “wrist snap.” Using it for serve is helpful because it increases the power and generates more spin. How to pronate during a serve? As a coach and player, I would strongly recommend the continental grip for the serve. Always remember that a simple thing like the correct grip can make a world of difference not only in pronation, but also for different shots. So be sure that your grip is right. To pronate, you need to imagine you are hammering a nail in the ball when you swing up your tennis racquet at the approaching ball. To be more specific, you hit the ball with the side of your tennis racquet - the frame. However, don’t end up hitting the ball with the edge of your frame. The ball should be hit with the strings, but from the side of your racquet. When you pronate your forearm, it will give your racquet a fast spin. 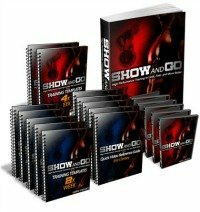 This will add more power and force to your aim, which will enhance your serve beyond expectation. To pronate during your serve is not an easy thing to execute at the beginning, so practice as much as you can. Many amateur players don’t realize the importance of the serve but like I stressed before, if you begin the right way in your serve, you have a good chance of winning the match. 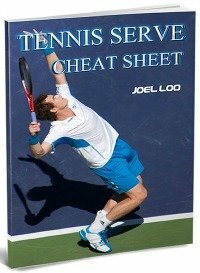 From "Tennis Serve: Learn Pronation To Improve Your Serve" to "How To Play Tennis Efficiently And Become A Better Player"
Learn more about the tennis serve.